Bhubaneswar gears to kick off the Men’s Hockey World Cup 2018 with preparations in full swing and stadiums getting decked up for hockey’s biggest carnival. The Central Government has pumped in more than Rs 100 crore into revamping Odisha’s capital, Bhubaneswar into a world-class city. Undertaking the massive and grand make-over, to ensure that tourists visiting the capital during the sporting extravaganza have a spectacular time, state, tourism, municipal and central government departments and officials have been working in over-drive to breathe new life into the city. The Men’s hockey World Cup 2018 tournament venue Kalinga Stadium has been refurbished with state of the art installations, murals and an increased capacity at the forefront of its redevelopment. Swanky new VIP and media boxes, comfortable new seats which take the capacity of the arena to 15,000 and brand new world-class pitches for both the training and main grounds along with glistening new dressing rooms make the Kalinga Stadium a dream to visit for both players and spectators. High tech installations have also been placed around the city to ensure that visitors have a hassle-free and enjoyable visit. Twin boxes have been installed at different locations around the city to serve as wifi-routers, making the entire city an internet zone. To make traveling and visiting sights easier, people will also be presented with the option of cycling around the city. Interested visitors can pick up cycles from the city through the public bicycle sharing system that will offer 1500 GPS enabled bikes. These are only a component of what the state government has done for the mega event though. The main centre stage has been the Bhubaneswar Art Trail. The art trail is a heritage walking route of 1.3kms over the course of which visitors will be treated to architectural delights of Old Bhubaneswar. Featuring the work of international and local artists, the art trail will be an eye-catcher and is poised to become a regular feature in the city till the end of the tournament. Works incorporated in the art trail will include the temples in Old Bhubaneswar which are some of the most ancient in the country. Monuments as old as the 6th century will add to the glamour of this one of a kind trail which is expected to draw in plenty of tourists. Covering the length and breadth of the city, not just development but several cultural exhibitions and music and food festivals will also be organised throughout the entirety of the tournament. With the tournament right around the corner, the kick-off has begun with the showpiece events set to begin starting November 2. The star-studded Ekarma Sports Literary Festival will see eminent sports personality and authors gather under the same roof for Asia’s first of a kind festival. Along with some of the biggest names in the sport in the country, global superstars will also grace the event to see a speaker list of Yogeshwar Dutt, Jeff Thompson, Neeraj Chopra, and Ajinkya Rahane. Along with this, the world cup trophy has also been displayed in the city, attracting the attention of thousands of citizens who are queuing up on a daily basis to take pictures with it. 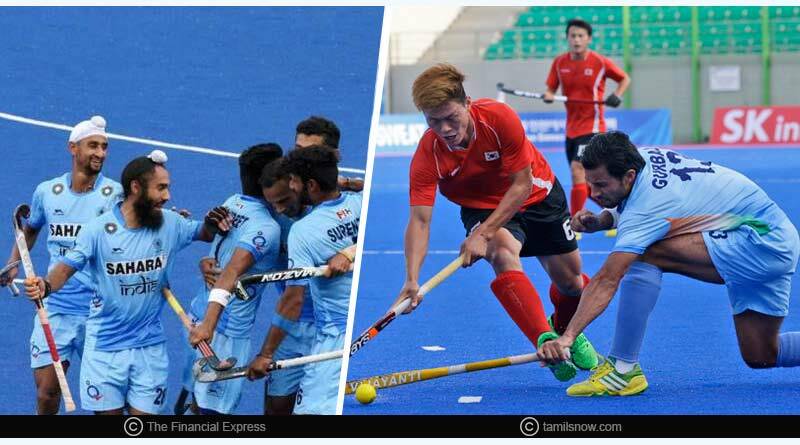 Make sure you pencil in your calendars for 28 November-16 December to indulge in the plethora of exciting matches that the Men’s Hockey World Cup 2018 has lined. For more details on various Sports and other related updates, like and subscribe to tentaran.com.